峰景苑. 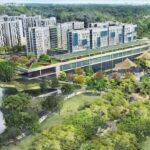 High Park Residences @Fernvale – SOLD OUT! Trilive @Kovan – SOLD OUT!